Tracking your marketing is essential to growing your client base and an engaged community, some of whom are potential buyers. In this post I’m going to share what social media statistics you should be tracking, why tracking is important and how to choose the right channels for your business. I find myself recommending social media contests to clients more and more, so I wanted to share some quick ideas to jump-start your interactions and following. A sweepstake is a chance-based campaign, with no purchase or payment (“consideration”) necessary. However, providing contact info, like an email address, is regarded as “consideration” in some US states when used for marketing purposes. Contests require effort, skill, or merit to win a prize, with no element of chance. For example, uploading a photo, commenting, or simply the fact that you will select the winner. When you combine “consideration” from the participant, chance, and a prize, you have a lottery, but private lotteries are often illegal, so don’t run one! Make it clear your contest is not endorsed, sponsored or connected with the company. Follow the guidelines of the platform, and laws in the jurisdictions of your business and the entrants’ home country locations. Running the contest without administrative help from the platform. In each section below, you’ll find a quick rundown of the additional rules, correct at the time of posting – social media platforms update their rules often, so I’ve also included links to where you can find them. Post a photo of your giveaway and ask participants to repost. Team up with a partner, who’s not a competitor but shares a similar audience, and run a joint competition. Run a loop giveaway with 5 or more fellow business owners – bear in mind these can be complicated. Approach an influencer, where they lead and host the contest (but you provide the prize). Find more ideas on hosting Instagram contests on Later. You must state that your contest participants release Instagram of any responsibility – see the example below. You only have 140 characters, so the simpler the better! Fastest correct answer to a trivia/brand-related question. Simply like & retweet to enter (post a photo to represent the prize). Best photo: travel/flat-lay/pet/behind-the-scenes/shoes/sketches – you’ll need a custom hashtag or @mention to find the entries. Best picture-quote – again, a custom hashtag or @mention is required. Most creative/witty tweet to a prompt, e.g. “I need a nutritionist because _______” or “Tell me who you’d most want to have dinner with and why”. Use your hashtag in multiple tweets, each one counts as an entry. Get the lowdown on running a successful Twitter contest on Social Media Examiner. PRO TIP: Not only will you grow your likes and following, but this is a great way to learn about your audience and crowd-source content. Turn those top tips into a blog post and best photos into Instagram content. Offer prizes for tweeting an update, following an account, or posting updates with a specific hashtag. Need more help using Twitter for business? Read over my free Beginner's Guide to Twitter. Increase engagement & shares with many more options than “like to enter”! Caption contest: the person with the best/most creative/silliest/heartfelt caption for your photo wins. Comment with a photo of [you with your mom/best friend/from your childhood/favorite quote/etc.] to win a [prize]! Q&A competition – you could ask easy Qs or brand-specific ones, trivia, multiple choice, or even feedback on a new concept/product. Loads more Fill-in-the-blank Qs on Post Planner’s blog. Comment with your most touching/embarrassing moment this year and use a vote-based system – the comment with the most likes wins. See more Facebook contest ideas by Kim Garst and Jeff Bullas. Sharing or tagging of any kind – you must not ask entrants to share in any way or to tag friends. You may find people share and tag friends to encourage them to take part. That’s fine, as long as you’ve not asked them to do it as a contest entry. Ask participants to create a whole board to submit as a single entry, e.g. “Win a makeover/canvas print/copper pan set/voucher/etc.” – you may need a landing page or contest app to help manage this. Does your audience tend to take most of their own photos? Ask them to submit their best own photos within a theme, e.g. beach/baking/hosting a party/Autumn leaves/vintage furniture/the color red/etc. Ask your audience to submit their favorite pins under a specific theme, e.g. knitwear/handmade accessories/tropical paradise/winter wonderland/home office makeover/etc. Find apps to use & more ideas on Social Media Examiner’s blog. View the Pinterest Rules – scroll down to “Contests”. Want more ideas to improve your Pinterest strategy? 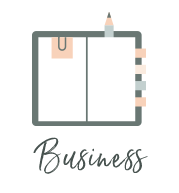 Check out my free Pinterest for Business series. → Know your audience – make sure your contest prompts are suitable for your ideal clients. → Only choose one platform to host your contest (but still promote it across other channels). → Keep it simple and have clear rules – you know I’m ALL about simplicity & clarity! → Create quality, compelling graphics to promote your giveaway: Take your own photos or source gorgeous styled-stock from Haute Stock* and use Canva to add text overlays. → Create a custom hashtag. → Try and make at least one part of your contest relate to your brand – either make the prize one of your offerings or the entry align with your brand, for example, the type of content you already posted on social media. → Create a content strategy before you start and include a pre-contest teaser campaign. When will you promote? For how long? What can you do each day during the contest to boost interactions and shares? See more tips on Social Media Today and Canva’s Design School blog. This is your contest with your rules and, if you make them clear, no-one can dispute them. If you want to be extra-rigorous, you could create a T&Cs which you link to. There are lots of tools if you just search “contest randomizer” online. You can use The Good Luck Fairy tool by Fanpage Karma by entering the URL from your Facebook post. Options available include selecting a winner by comments, interactions (likes/loves/etc.) or search terms, and you can even download a spreadsheet of all entrants (name + Facebook profile link), plus select further random winners if you’re offering runner-up prizes. Those are my 27 best social media contest ideas! Excited to get started – which contest will you try first? Have you run a social media contest before? Tell us about it in the comments! Just like any other social media platform, you have to stay visible (connected) to see growth.Once you have a strong foundation set up, optimize your blog posts, think like your audience and check out your analytics, you’re ready to take the final step: automation. How to increase your blog traffic quickly by taking a look at your Pinterest analytics. Read on to see how I used my own account as a case study for step-by-step instructions for reading your stats and improving your strategy. Is there really a 'best time' to pin? It depends. Learn how to analyze your target audience to find the best time to use Pinterest for Business. Not only will these tips help you get more people pinning from each post, but they'll help you stand out on Pinterest to get more repins and brand recognition. Read on to learn how to best optimize your blog posts while using Pinterest for Business. How should you write your bio? How can you add keywords to your Pinterest profile? Learn how to set up & optimize your Pinterest for Business account to increase referrals, increase sales, and get more from each blog post. It's January, which means I'm deep into reviewing stats for 2015 for clients and myself. I'm a huge believer in tracking everything you do in business and adjusting accordingly. It might sound like common sense, but many bloggers don't do this! If you've been following along this year, you may remember that I took a few months off from new clients, slowed down on blogging and accepted guest posts instead, and slowed down on social media. I was going through a break up from a 7.5 year relationship and moving across the country, so naturally, things had to slow down. I gave myself time and room for the transition. My reason for sharing that is to show that it's okay to not reach your goals. In the end it gave me more clarity on the direction I want to take my business (and life in general, obviously). It's okay to have slow business months - seasons - years. Success doesn't happen overnight. It wasn't what I had intended for this year, and I didn't reach all of my numbers-related goals, but overall everything worked out how it was supposed to. And looking over my stats above, I guess my growth was actually pretty good. Referrals to my website from Pinterest grew 1,300%, from 1,000 in 2014 to 14,000 in 2015 (making up 61% of my social traffic this year). That number is not to be taken lightly! The key here was improving some of my older images and trying to keep Pinterest in mind when creating new ones. Large, easy to read text is important. I also started scheduling my pins to post in the evening when more people are on Pinterest. 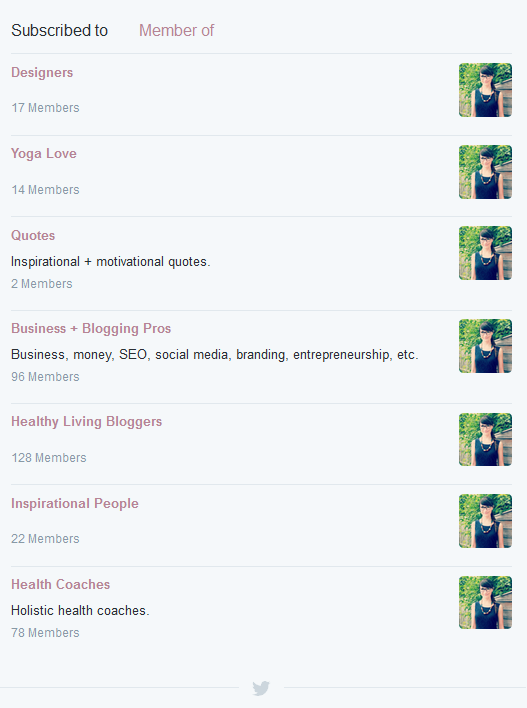 You can do this with a number of tools such as Buffer or Viral Woot (which were the two I used). Stitch Fix was also a very specific reason I had so much Pinterest traffic. A few of my pins send decent traffic every day, but this one in particular has over 5350 repins. Now, you might think posting my Stitch Fix reviews is unrelated to business, but I did get a client through a review. PLUS, I strongly believe in my client Ustyled's philosophy on the power of your presence and how you show up. Referrals to my website from Twitter grew 306%, from 920 in 2014 to 3,737 in 2015 (making up 16% of my social traffic this year). Scheduling: I started scheduling at least 4 tweets per day at varying times. Some of these tweets are my own content and some are sharing content from others (and being sure to mention them with an @ when possible). Photos: I've read that including a picture with your tweet can increase engagement up to 180%. I definitely agree that it helped my click-through-rates during 2015. I had been using Hootsuite but switched to Buffer because the photos in Hootsuite would be attached as a link rather than the actual image showing up in the timeline. This may have been resolved by now, but I love Buffer and will stick with it. Twitter Chats: I love Twitter chats! I started with #ellechat earlier in the year and started branching out and attending at least one every other week. I haven't done many in the past few months, but am excited to get back into it. Chloe Social has a handy list of Twitter Chats, or click on Part 2 below to see a few of my favorites. Not sure why or how to get started with Twitter? Check out my Beginners Guide to Twitter Part 1 and Part 2. One of my top referral traffic sources was Running with Spoons. Each Sunday she posts a Sunday Link Love similar to what I post, but she includes a link-up at the bottom where readers can add their posts. Adding my link to her link-ups referred 1,514 people to my blog in 2015, which made up 12% of my referral traffic. I didn't post my link every Sunday because I often forgot or was trying to not work weekends, but I can see that it was worth it. If you choose to try this method, make sure it's an appropriate match. Amanda's link up is great for me because her audience is mostly health and fitness bloggers, which makes up a large part of my target audience as well. The posts I share with them have value, and I enjoy clicking through the other links because it's in my area of interest. As I mentioned above, I switched to Buffer this year. I mostly use it for Twitter, and my favorite feature is the analytics (naturally..I'm an analytics nerd). Being able to sort tweets based on how well they performed has been a game changer for re-purposing content. Not only does it make it easy to re-buffer them, but I also get an idea of what copy or language resonated best with my audience. It's an easy way to split-test headlines or blog post titles. You can use Buffer for all of your main social channels excluding Instagram (Facebook, Twitter, LinkedIn, Pinterest). I had been using Viralwoot for Pinterest, so this made it much easier to have all my scheduling in one place. Another aspect that helped my click-through-rates was setting up a pre-determined schedule so I can easily add content to my queues and they will post at my best times. My organic search traffic grew 425% during 2015, which accounted for 12.6% of my total traffic. I consistently optimized each post and photo, as well as gained more back-links. Those are just a few of the on-page factors, but the longer you have your blog and consistently post quality, relevant content, the better your SEO will be overall. If you'd like to improve your SEO for 2016, you can start by checking out my SEO Basics series. Twitter is a social network that people tend to either love or hate (or just not understand). It's one of my personal favorites for the speed of communicating, but many clients question the value. Not every social network is appropriate for each person or business, so I'm breaking down how to get the most out of Twitter. Now we're going to dive into hashtags, lists, analytics and chats so you can step up your game for business. How should you use hashtags on Twitter? Hashtags allow people to view all the tweets around a certain topic and interact with others with a similar interest. Use your hashtags wisely, though. If you use too many it will junk up your tweet and distract from your actual message. You should also really think about your hashtags (on Twitter and Instagram). Are people actually searching on that topic? Are you just adding it to get likes, in which case, are they quality likes (qualified leads)? Events: If you're attending a conference/trade show/etc there's a good chance there's a hashtag for it. Locations: Find people close to you, find things to do when traveling, etc. Popular Themes: For the health and wellness world, some popular hashtags include things like #MeatlessMonday and #MondayMotivation. Twitter lists are a way to organize the people you follow so you can view segmented timelines of tweets. You can see which lists others have added me to here. This would be a good place for me (or another similar Twitter user) to go to find like-minded people. How can you access Twitter Analytics? Go to https://analytics.twitter.com/ while you're logged into your account. If you are responding to someone or starting a tweet with someone's handle (@twittername), only that person and people who follow you both will see the tweet. If you want more people to see it, add a . in front of the @ symbol. There are a ton more great Twitter chats out there, but these are just a few I've jumped into in the past. Chloe Social has a handy Twitter Chat list in her sidebar here, and Elle & Co. recently posted this Helpful Guide for Utilizing Twitter Chats. If you know of a good one, leave a comment to share with everyone! Hi there Danielle fans! 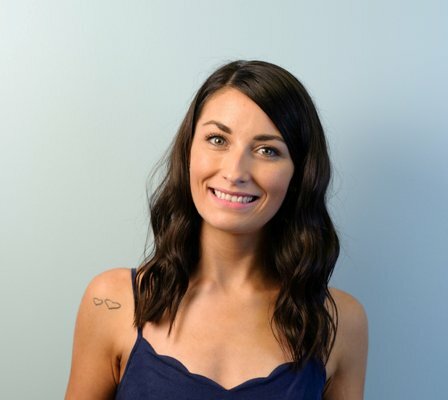 My name is Lindsay Cotter and I blog over at Cotter Crunch. So happy Danielle is letting me share her space today! Anyway, about me. I'm married to a former pro triathlete (now full time endurance coach). I’m also a Nutrition Specialist for Endurance Athletes and Gluten-Free eating. My blog is a gluten free guide (for all). Basically I like to FUEL others with EASY and DELICIOUS gluten free recipes. I also do my best to share proper nutrition tips and tricks as you work to keep your body and life in balance. Just consider me your gluten free house wife with food as fuel to support. Now, about that food. We gotta make it look pretty right? I mean, that’s half the fun (in my opinion). So today I wanted to share my tidbits on food photography. Only this time it’s not with any fancy camera, nope, it’s with a SMART PHONE! Easy Food Photography Tips Using Your Smart Phone. These tips have helped me become a better photographer in general. But regardless, having a great smart phone camera is KEY! Oh instagram, how we love thee! It’s definitely the most popular social media platform these days. And I would agree, it’s my favorite, probably because you don’t have to think much. You don’t need 140 characters or less, you don’t have to state your “status.” You don’t even have to say a thing. All you need is a picture. And for many, that picture is their creative outlet. It’s a glimpse of their passion. It’s a way to express their style. It’s a way to see the world’s most amazing places without even leaving your house. I know I know, corny. But it’s the truth. And you know what? Using a smartphone for food photography has made me a better photographer in general. It’s almost like you get to practice before the real deal, ya know? So with that being said, let’s talk ways to improve your food photography with a smart phone. I may not be an expert, but practicing these tips sure have helped me find new creative ways to photograph food --> simple and engaging. FIRST --> Find good light! Natural light. Try getting next to your kitchen window, or the window of a restaurant. Soft light (diffused light) works best. That means early to mid morning or just before sun set. These “golden hours” create a look that’s inviting, warm, and soft. Not harsh or grainy. Oh and be sure to turn off the flash! If you are shooting indoors, look for softer light or candle light and edit with a cool filter instead. SECOND - Have fun with props! I’m sure you have some spare kitchen towels, herbs, fruit, or something that brings color to your picture. Play with different styles. Have fun mixing and matching with your food. Ya, I so love doing that. Really! THIRD -- Don’t be afraid of the stand up shot (in public). Yep, stand up over your food. This works best for natural light settings. I love capturing white plates from above because it really makes the color of your food ‘POP.' And yes, I did stand on chair, on a restaurant patio, in front of people, to get that picture. Totally worth it. Makes me happy every time I see that lovely set up! Haha. FOUR -- Use the rule of threes. Usually an odd number of items work best in photography. 3 muffins, 3 plates, etc. Here I used the new LG4 phone and took a picture of 3 muffins at a side angle. Then played with it snapping 6. Which do you like better? Well, I kind of think both are equal but that’s because that camera is that amazing. But in general, odd numbers of items always photograph better, especially in a square instagram space. And FIVE -- Lock your focus or make sure your hands don’t shake. This will allow for spectacular close ups! You can lock your focus and adjust the shutter speed on most iPhones and Androids. Just going into your camera settings and check it out there. Here’s a tutorial link. This will help with blur and allow more or less light in, similar to that of a DSLR. Pretty impressive, right? Another way to reduce shake trick is to place your hands on a water glass when taking a picture of your food, this will help reduce the shake when you snap the photo. Oh and be sure not to hit the camera button full force. You must be gentle. All this said and done truly comes down to the type of camera phone you have and camera editing apps you use. Having a phone with great clarity and function can be key to improving your smart phone food photography. Favorite Camera Apps – VSCOCAM, SNAPSEED, CAMERA AWESOME, and VIBRANTLY are some of my favorites for editing food photos on your smart phone/iphone. I've used all these apps on almost all my pictures in my instagram feed. So tell me, what’s your favorite app for smart phone trick for photography? I’d love to hear more! Cheers to technology that makes us hungry! Are you using social media as validation of your worth? It's so, so easy to get caught up in the hype of followers, likes, retweets and so on with social media. This can be especially challenging when you're starting your business and want to gain attention. In this post we'll dive into common social media questions, why social media validation is a problem & how to change the focus. A social media contest is a great way to gain followers, connect with your audience + increase engagement. Try these super easy contest ideas. Once you've gotten readers to your blog, you want to keep them engaged. You want them to start clicking around and interacting with you and your content, getting to know you, and getting as much value as possible in each visit. This list is short and sweet so you can start employing these right away without getting overwhelmed. 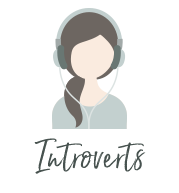 1 | Link to your other posts in your blog post. Use keywords within your post to link to related blog posts. Make sure the links are natural and valuable to your audience, and only include three or four. Manually add your own in a list at the end of your blog post. Install a plug-in to do the work for you. I've used Yet Another Related Post Plugin, but there are many options out there. 2 | Make blog posts super easy to share. 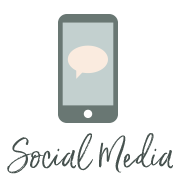 List your social icons toward the top of your page, and have easily accessible icons for each post. Toward the bottom or by the title is ideal. Don't make readers search for your icons. They don't have time for that. I've heard the argument for keeping them tiny in the footer so that readers focus on signing up for your newsletter. I get it. But I don't agree. 3 | Customize your social plug-ins. Too many times I share a post on Twitter from someone's blog and it still has "via @shareable" or "via @sharaholic." Please, PLEASE, go into the settings and change it to your Twitter handle. This way, you'll see the tweet and be able to interact with everyone who shares your content. How do you keep readers engaged? This post was originally a guest post for my friend Anne over at FANNEtastic Food. 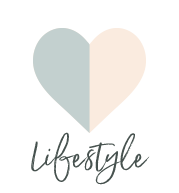 She’s a DC area Registered Dietitian with delicious recipes, fitness posts and wellness tips, so make sure to check out her blog! It has been slightly modified from the original version. With that said, let's dig in! So – you’re on Facebook, have a consistent blogging schedule, and vaguely know what SEO means. Now what? Dig into these tips to take your traffic to the next level. 1. Minimize your load time to keep readers engaged. Kissmetrics.com says, “40% of people abandon a website that takes more than 3 seconds to load.” Excessive ads, buttons and photos can slow it down. Consider what each item is worth and experiment with placement, WordPress plugins, and even removing things that may be hurting your traffic numbers. a. Check out these 5 ways to speed up your WordPress site. 2. Expand beyond Facebook and Twitter. Instagram and Pinterest are excellent for food + healthy living bloggers. The best time to pin is between 2-4pm and 8pm-1am. Verify your website so you can track your analytics. Use images with text (your post title). Use hashtags, just like you do for Twitter and Facebook. Either search hashtags before you use them or try Hashtags.org to find popular tags. Make sure your pin link works, and make sure it leads to the actual post and not your homepage. Here are 34 Tips for Using Instagram for Business. 4. Re-purpose old blog posts to get the most out of each post. You have new followers all the time who haven’t read your posts. Use a Twitter Plugin like “Tweet Old Posts”, or schedule posts to multiple channels with something like Hootsuite. If using Hootsuite, this gives you a chance to pull different quotes from your post and schedule for the future. Get creative! It doesn’t always have to be your post title. Ask questions, use teasers, and play with other titles you thought about using. 6. Take a few minutes to do keyword research. Use Google Keyword Planner + Google Trends to find the best way to phrase your blog title and which keywords get the most traffic. 7. Use an SEO Plug-in, like “Yoast All in One SEO”, to make sure you cover the basics. Fill out the title tag with 60 characters. This is usually your blog title, so make it appealing and share-worthy! 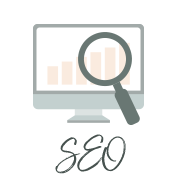 The meta-description is not used by search engines, but can encourage people to click your link. Google shows around 160 characters. Use keywords in your URL and H1 tags. These re-enforce what your post is about to search engines. 8. Break up your text with sub-headings. These help readers scan your post, and all heading tags signal to search engines what your blog post is about. 10. Link to related posts within your blog post + have related posts available underneath. These keep readers engaged in your content and increase your page views. 11. Complete the “alt text” for your images. Use keywords that are related to your post but also describe the image. This is another signal to search engines about your blog post topic, and this helps categorize images in searches. Monitor your referral traffic. Which social channels are doing the best? If you’re advertising, is it worth it? 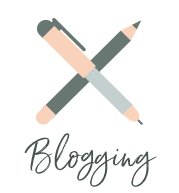 Are other bloggers linking to you? If yes, go thank them! Webmaster Tools can analyze the technical aspects of your blog, like broken links and pages. Not only do these annoy readers, search engines also pick up on them and will penalize your ranking. What tools and tips have given you the most traffic growth? Anything to add to this list? Beautiful images with quotes are everywhere these days. Think Pinterest, Tumblr, Instagram, Blog Photos, etc.You get the picture. It can take a long time to create your own, and let's face it, not everyone is gifted in graphic design. It's also a great idea to make a graphic of your blog post title. Every social channel allows a featured image and it's proven to grab readers attention. A free tool with almost 50 options. The images are watermarked, but they're super easy to create and download. Pinstamatic will help you liven up your blog and Pinterest account. Add captions to photos, create simple quotes and more. It's doesn't have a lot of customizable options but is simple, quick and has a very attractive website! A free tool with 28 options. They're fairly limited and not too fancy, but it's easy to use and easy to save (just right click). PicMonkey is what I use for most of my images. It's free, easy to use + extremely customizable. They have some backgrounds to choose from or you can upload your own. Free and easy to use. It provides small groups of stylized quotes for you to choose from. They are all fairly similar to the photo above. Click through quotes on homepage to find inspiration and create your own with their free tool. Customize the background color, choose from a few fancy fonts + choose from a few random icons. This site looked promising at first, but I wasn't impressed in the end. Designed for Pinterest. Free and easy to use. You can upload backgrounds or choose from a few plain options. Font options are limited and the image size is very small. The above image is one I created at full size. LivLuvCreate is a social community of image quotes, but also offers a free editor. To use the editor, you have to create an account, but you can easily sign in with Facebook. The editor offers tons of options, from collage layouts to pre-made beautiful background images and Instagram-like filters. Chisel offers images to choose from, similar to LivLuvCreate. Choose an image, add your quote and save. The downside is that you have to create an account first. Which tool is your favorite? Instagram is especially popular among lifestyle blogger, like fitness buffs, recipe creators and fashion lovers, but we're seeing a huge increase in use across different industries. Before signing up and snapping away, take a few moments to think about your overall strategy. There are 4 basic content groups you can share from, and I've included a few ideas for each below. Your strategy might include any mix of these, or all of them. Behind-the-Scenes: sneak peeks of what you're working on, your office or work location, a day in the life, what you're loving lately. Education: bite-sized tips related to your business and industry. Inspiration: anything to make life a little better, a it's not secret people love quote images. Tie it back to your overall brand if you can, and use high-quality images. Community: feature clients (in-person, their work, etc. ), work from peers, local events. Here are tips on how to create the perfect Instagram profile. Make sure to include a recognizable profile photo, like your company logo or the headshot you use on other social channels. Include your location in the description, especially if you're a location-based / brick-and-mortar business. Make sure your Instagram account is public (you'd be surprised how many business profiles I come across that aren't!). Include your website/blog URL in the description. Use a mix of fun images and business images. Let your photos and videos tell a story of your company or personal brand. Think about the overall look and feel of your feed. How will people view it when they're scrolling through their feeds and seeing each photo individually vs. how will your photos look all together in your channel. Try to go for a consistent look and feel. Some people use similar filters for each photo or use a shaped crop for every photo. Play around with apps and filters until you find what you like. VSCO for editing and Moldiv for creating cool collages. Post an image from your blog post with a little teaser and direct people to the blog link in your profile. Post at different times to test when you get the best reaction. You don't need to post every day. Geo-tag your location in photos if you're a location-based business or want to be found at that location or by that business. Tag clients + customers in images whenever relevant. This is a good way to start a conversation. Add relevant hashtags to older images as you discover them. This will give new life to old posts. Add text to images as call-outs and post "quote images" with thoughtful, relevant quotes. Connect your account to Facebook and Twitter. Run an Instagram feed in the side bar or footer of your blog or website. Develop a hashtag relevant to your brand and use it often. Research hashtags before using. You'll get an idea for additional hashtags when you find photos that match the theme you were going for. Comment on other photos with the hashtags you're using. This will draw people back to your account. Take advantage of these videos that are longer than Vines. Mix up the content here too, with personal and business related. Embed videos on your blog to reach a wider audience. Post clips from your vlog as a teaser. Follow brands and people who inspire you and have similar businesses/interests. Follow people back, and engage with them! Answer questions on your photos. People can see the images and videos you like, so take advantage of liking similar content. Pay attention to which images and videos get the most likes and comments. Start sharing more content like these. Create photo contests with specific hashtags. Host a photo caption contest. Create a hashtag for events you're participating in. Instagram is great for live events, like Twitter. Use Instagram as a fun way to show teasers and sneak previews of upcoming products, blog topics, interviews, etc. Ask followers to submit photos of your product, book, etc. Allow a guest to "take over" your Instagram account for the day. Starbucks is one of the top followed Instagram accounts. Take note! In their description they encourage you to use a specific hashtag. They share photos from followers, such as cup art. Do you use Instagram for business? How do you engage with followers?